The topic of money is always one of the most important in travel planning. Many different questions will surely come to mind immediately: Is it an advantage to change money first? Are there enough ATMs at the place I visit? Do I even need a credit card at all? Money on travels – what do I need to pay attention for on vacation? Also issues like card loss or security for cash are big questions that are open for now, such as where can I keep my money safe? Questions upon questions and we’d like to answer them with this article. Debit or credit card for the vacation? 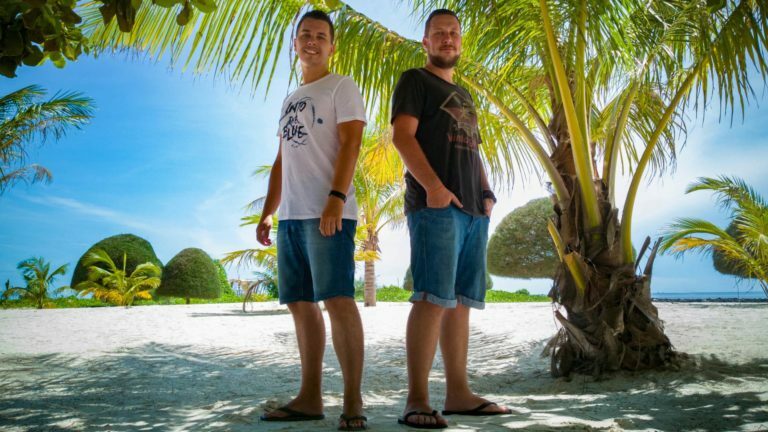 The first question you probably have in your mind is: How do I get cash on my travels? We can definitely recommend you a credit card. Whereby we prefer Visa as opposed to Mastercard, as these are usually more accepted. It’s also a good idea to not rely on a single credit card, but to carry a second replacement card with you. If the first credit card is ever locked in the ATM, blocked etc., you still have a second credit card that you can use. 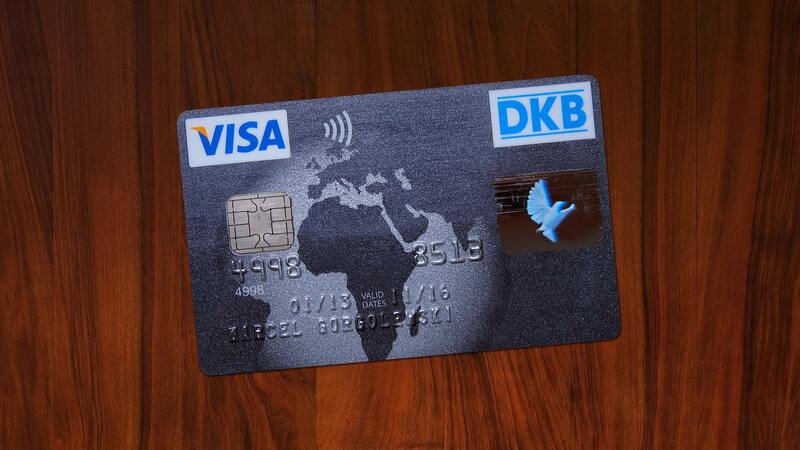 Of course, this credit card should be sufficiently covered for emergencies. Info: It’s best to let your bank know where you are going before you leave. This way the bank can store this information and does not consider it unusual for your card to withdraw or pay abroad. It does not create any suspicion of fraud. Note: If you use online banking, try changing your TAN procedure before you leave. From our bank we can for example generate TANs by means of an app and so we are not dependent on SMS TAN (possibly no roaming abroad) or TAN devices. Also a TAN list would be another possibility. You can either take the TAN list with you or you can store it in your cloud storage (encrypted). 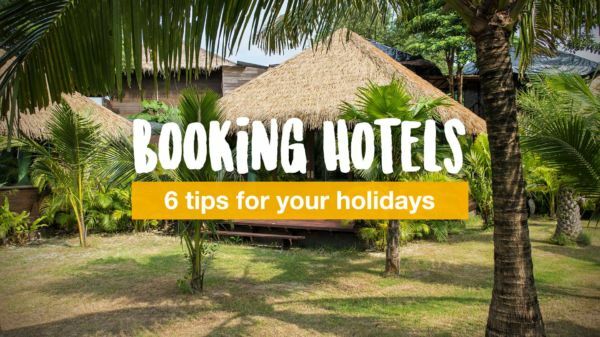 Another important topic is also cash on vacation or while traveling. Should you carry a lot of cash or not? How much would a reasonable amount be? We’ve got used to always having some cash in euros with us (US dollars are also good of course, even better in some countries). We do not necessarily carry it around with us, but keep them safely in the hotel. A rough amount would be about €150-200. We use these only as an emergency backup, if the credit card should not work etc. So you will never have the situation to completely run out of money. Because when traveling this can quickly lead to problems. Otherwise, of course, we always carry cash of the national currency with us. One problem that often exists in Southeast Asia is that you only get “big” bills out of ATMs. 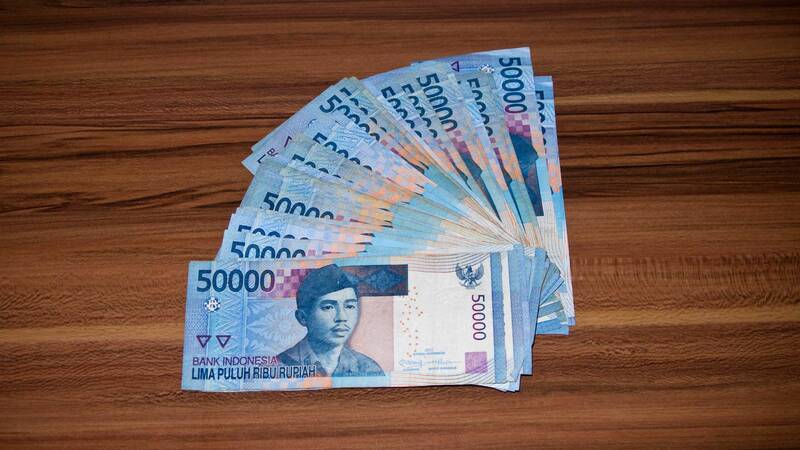 In Indonesia, that would be 100,000 rupiah bills (about €6), in Thailand 1000 baht bills (about €25) or in Cambodia 100 USD bills (about €85). These large bills can often not be changed by small local food stalls, restaurants or markets. It is therefore advisable to pay with the big bills in a convenience store or supermarket. They can usually change it. Then just keep the small bills for other occasions, so you always have some change. You should get used to “collect” small bills in many countries in Southeast Asia (certainly that applies to South America, too) whenever possible and where it is easy to change, you can pay rather with big banknotes. The cash withdrawal on vacation works best with a credit card. Debit cards are often not accepted and Visa is usually better than Mastercard. 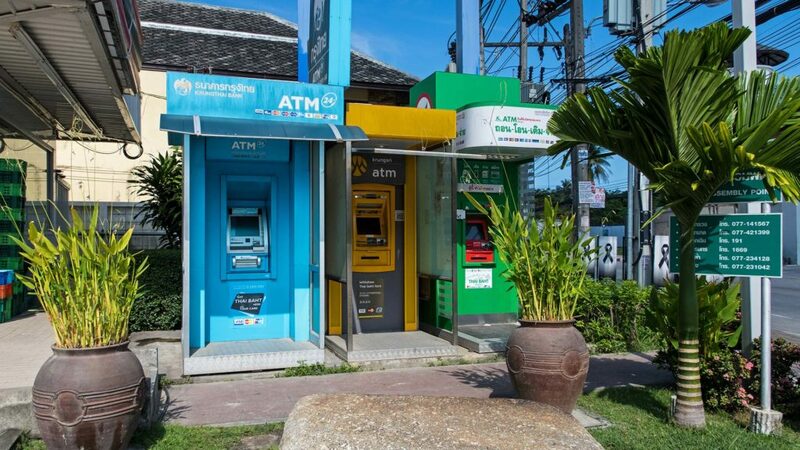 In larger places as well as tourist centers you will find a lot of ATMs, but also in smaller towns they are more and more frequently to be found. In Asia mostly at the convenience stores such as 7-Eleven, Family Mart etc. Pay attention to rigged ATMs when withdrawing. Luckily, this does not happen too often in Asia, but caution is better than forbearance! Therefore, we would also advise you to use ATMs where cameras are used (e.g. in supermarkets etc.) or directly in or next to the bank branches. In addition, you have another advantage directly at banks. In the event that your credit card is blocked/pulled it by an ATM, you can go straight inside the bank and let them know. So it is also better to withdraw money during the opening hours. This way you have a better chance to get your credit card back immediately. It has not happened to us yet, but to other travelers. In addition, in some countries third-party fees are charged by the banks that you withdraw from and mostly not refunded by your own bank. Two well known countries are Thailand (220 baht) and the USA (about 3-5 USD) who are doing this. You should also be careful if you want to withdraw several times in a row. This could cause the bank to disable your card. In Indonesia, this may e.g. be the case since you can not withdraw large sums of cash at once, but you may have to withdraw large sums of money. Changing money also plays a huge part, already during the travel preparation. Many travelers want to exchange at least some local currency in advance. But let me tell you one thing: with a bank in your home country, you usually get worse exchange rates than on the spot. Therefore, changing at home is not worthwhile. Also at departure or on arrival at the airport we advise against changing money or at least only a small amount. At the airport, there are usually worse rates and sometimes higher exchange fees than in the country itself. Save on changing larger amounts in any case. 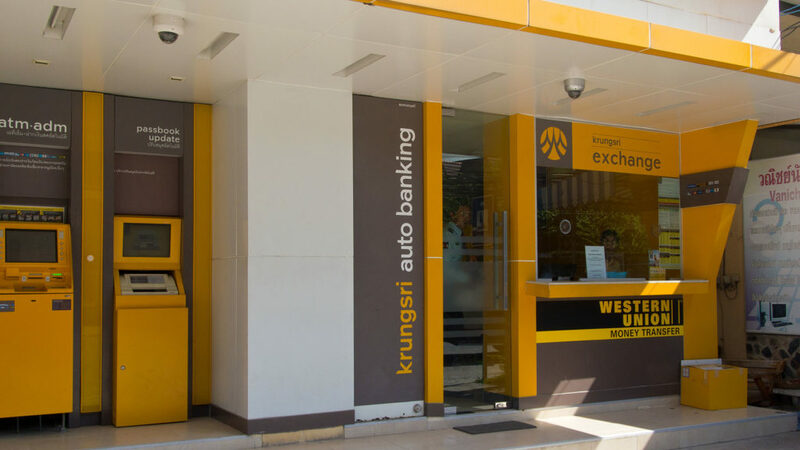 If you would like to change in your travel destination, then we can always recommend you to visit the exchange offices, which are directly connected to a bank or belong to those. These usually offer the best rates, although of course there are exceptions. The Superrich exchange offices in Bangkok are e.g. those who almost always offer the best rates. Especially if you are not yet familiar with the currency in your vacation country or would like to get a feel for the money in advance, so-called currency converters are suitable. You’ll fine a lot in the Google Play Store or on the iTunes App Store that you can easily install and use. Currency Converter Finance 100, Easy Currency Converter or SimpleCurrency Converter are among others three apps that work perfectly and that can help you convert the currency. Tip: Most of the time we do not use an app, we just use the currency converter from Google. For this you have to enter your desired search on Google, which is very easy, e.g. “1000 THB in EUR”. 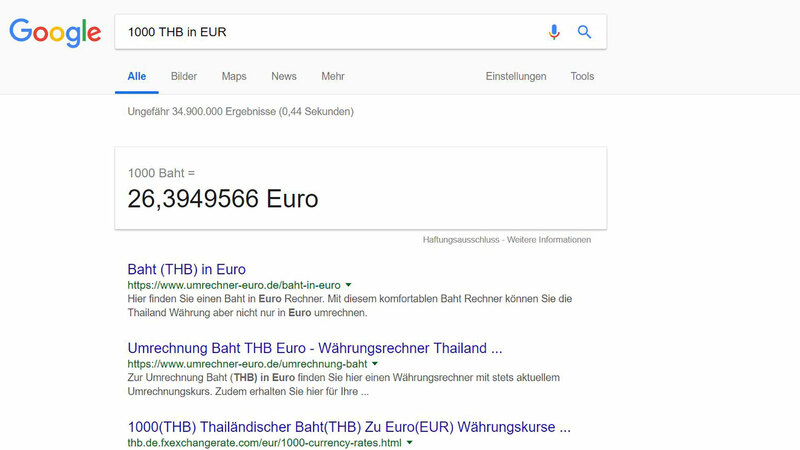 After that Google will give you the search result at the latest exchange rate. It works on the phone as well as on the laptop. A great tool, which of course works not only for round amounts. The aspect of security should not be forgotten. Especially when you carry cash or your credit card with you around, you want to stow it safely. Pickpockets are unfortunately everywhere and the less you show your valuables, the lower the risk. Are you traveling, on a party or market with dense crowds? Then it is helpful not to show money in the public, that probably will attract thieves. For example, you could carry a smaller amount in your pocket and stow more money in a so-called money pouch. You can carry these under your clothes, they are not easily accessible for pickpockets and if you need a little more money, you still have it with you. Not only the money pouch is a great hiding place, there are many more creative ways to hide your money when you’re on vacation or traveling. If you have a lot of cash with you, because you’ve taken it from your home country or have withdrawn a lot to save some fees, you can keep it in the hotel safe. Although these are not 100% safe, they are still better than to carry the money around with you at all times. Also, we recommend you to not store your money in the luggage during a trip, no matter if you’re flying, taking a bus or train. Always carry it with you or at least in your carry-on, where you can keep an eye on it all the time. The same applies, of course, to your credit card and important documents, such as the passport. Note: If your credit card gets stolen, you should immediately have the emergency number ready to block it at your bank. It’s best you write it down before the trip, so you always have access to it. What to do when everything is gone? Do you really have bad luck and all your cash and your credit cards are gone? Then fortunately, there is also something that can help you. Because you will need some money in any case. So how do you get some cash? Two services we can recommend are TransferWise and Western Union. 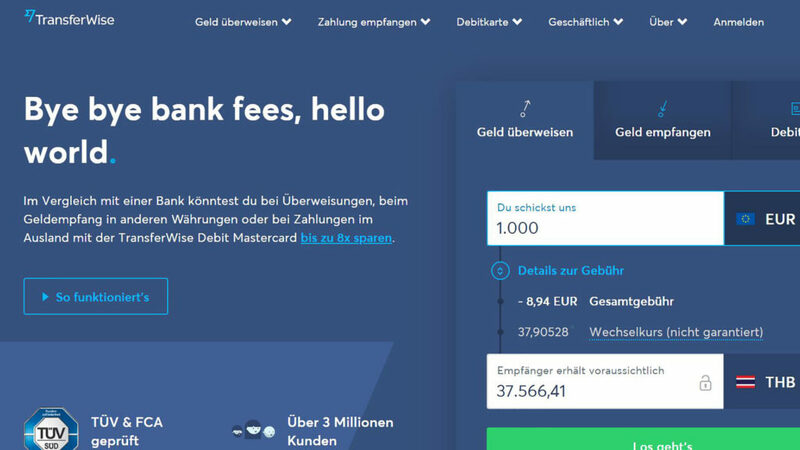 With TransferWise you can transfer money to a foreign account, e.g. from a friend or acquaintance without incurring excessive fees. If you have a trusted person on site, you can send the money to this person. Western Union even goes a step further, but is a little more expensive. This will allow you to send money directly to you via the website and collect it in cash at a Western Union branch or at a bank that also processes Western Union payments. This can absolutely help in an emergency. 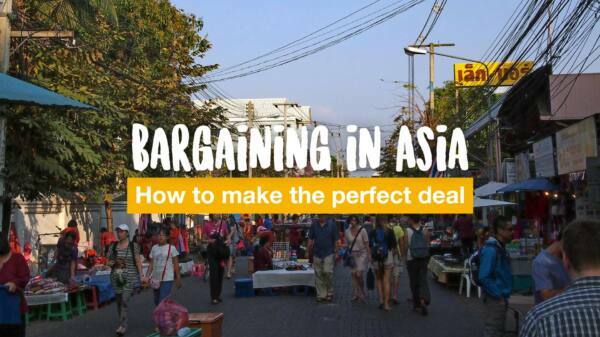 At least Western Union is very common in Asia. 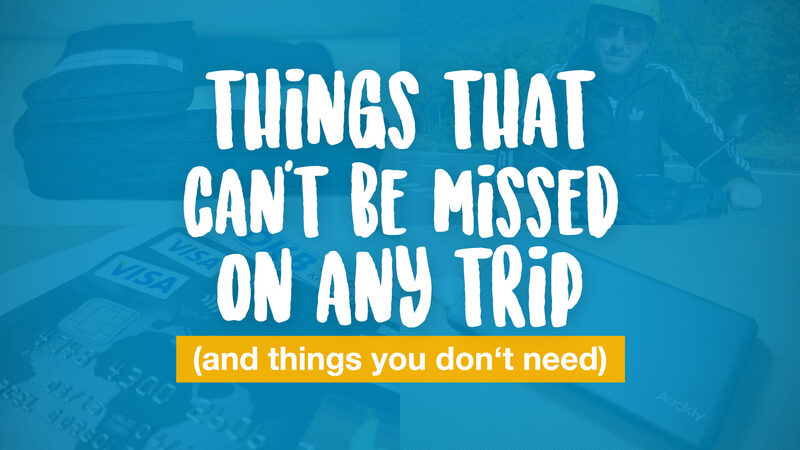 Do you still have questions about money when traveling or maybe even more tips? What can you recommend? We look forward to helpful comments and experiences!